At our moving company, we offer a wide range of options for customers who need storage services for any occasion. We pride ourselves on remaining licensed, bonded and insured to provide quick and efficient storage assistance that keeps your belongings protected before, during, and after your move. Along with providing a safe and secure place to store your valuables, we also focus on storage container loading and unloading services for your convenience. Sometimes you don't need to move everything at once so let us handle the storage issues with your additional items. No matter how long you need our storage services in Gaithersburg, MD, we can offer you a storage plan that suits your preferences. Our storage units are pro-rated daily, and you are only responsible for paying for the days that you actually use your unit. In addition, we never charge you any extra hidden fees when you use our storage services! With room enough to store and protect all types of furniture, our storage units measure 7' x 7' x 5'. Residential and commercial customers can rest assured we protect your belongings with a state-of-the-art security and surveillance system. We keep your things safe 24/7! At our moving and storage company, our professional team of movers is available to help you organize your things before you take advantage of our storage process. 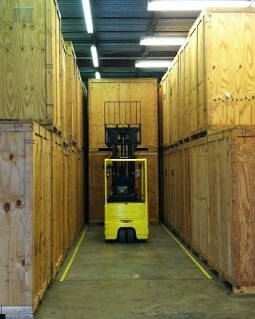 We arrive promptly to help you with storage container loading and unloading. From placing your belongings into containers and boxes to delivering and unloading them in your assigned storage unit, we do it all! You can be confident in your decision when choosing our company for storage assistance and services. We ensure that your possessions remain in good condition at all times! Contact us today to learn more about our storage services in Gaithersburg. We also serve Rockville, Germantown, Silver Spring, Bethesda, Frederick, Westminster, Mount Aairy, Chevy Chase, Potomac, and the surrounding areas. Take advantage of out free estimates and monthly specials, as well as our military and senior discounts.